Read what our past clients have said about our work! I am the type of person that doesn't say much about a product, person or service if I am displeased BUT LOUD AND PROUD IF I AM IMPRESSED and let others know about it so they can share in the same. Estephany IS someone that the world needs to get to know!!!! I knew for a long while that my son was going to marry the love of his life but because he was in the military, I also knew there would not be much time to plan the occasion once we got the clearance to celebrate his wedding so I had to plan ahead. I knew the moment I saw this dress that it was the one for me. It wasn't fancy or beaded, it was classic, demure and timeless and regardless of weather, could adapt to being in warm or cold temperatures. It covered everything that needed to be covered while not being too moo-moo-ish and still flattered a full woman's shape. In November of 2018, I walked into a local downtown dress shop, saw the gown, asked the sales clerk if I could have it ordered in "x" size and in "x" color by March of 2019. She responded with "Oh, that would be veeeerrrrrryyyyy expensive".... I couldn't believe I had been Pretty Womaned by a downtown sales clerk. So I packed up my pride, unloaded my determination and went straight to Estephany where I showed her a photo of the gown I had fallen in love with and told her, "Don't take measurements yet because I'm going to be losing weight." We followed up with each other over the next few months going over the tiniest of details and two weeks before the event, went in for final measurements. 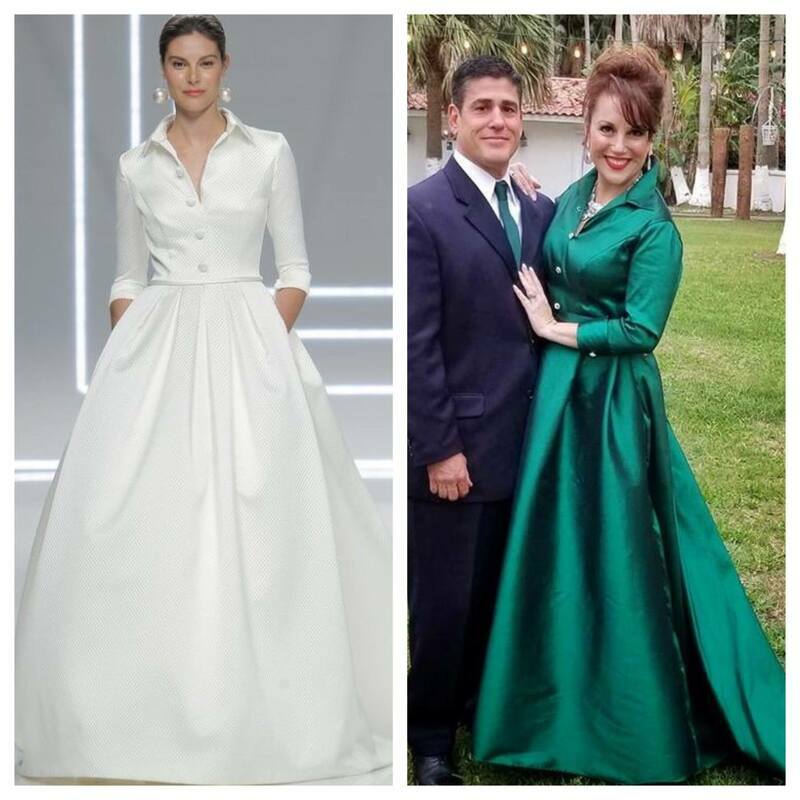 My absolute favorite designer is Carolina Herrera and this gown is definitely a CH inspired design that Estephany totally mastered. 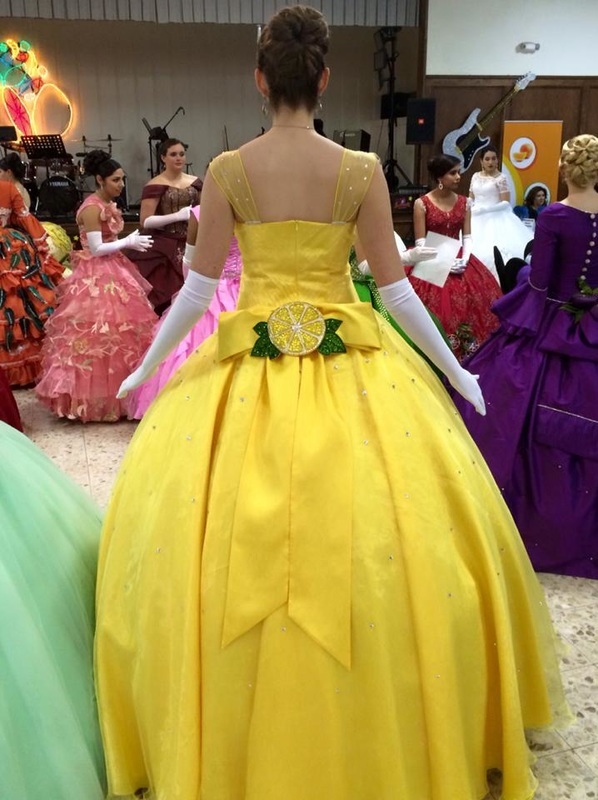 "We could not be more pleased with our gown for Texas Citrus Fiesta! Letty & Fannie are more than helpful & accommodating with all the fittings & details we needed.. We'll definitely be seeing them in the future for our clothing needs!" - Anita W. R.
"A very successful birthday/ Halloween! 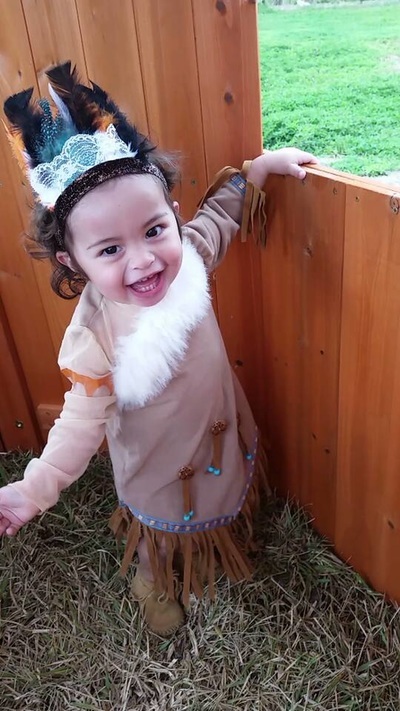 Thank you for creating our daughter's beautiful costume! Its was PERFECT!!" 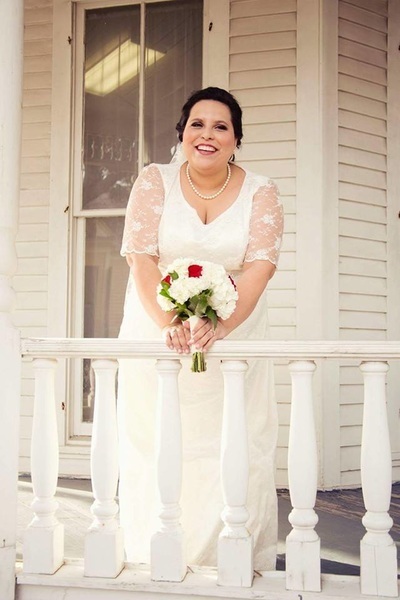 - Krystal C.
"They made my wedding dress and it was exactly what I wanted! The custom design was executed flawlessly - I have no complaints! It was easier than going to a bunch of stores and settling for something I didn't love. 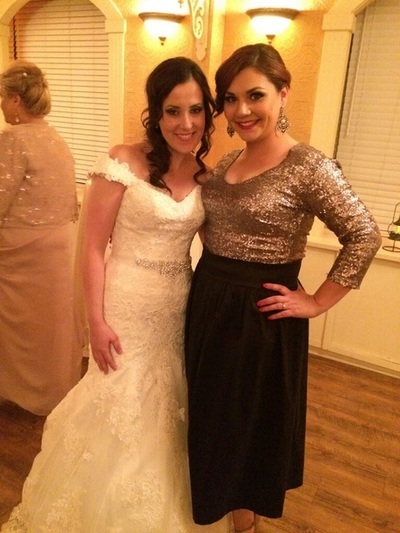 I would definitely recommend!Thank you for the perfect wedding dress!" - Laura E.
"In love with the end product! Great service! Highly recommend :)" - Angie G.
​"In love with the end product! Great service! Highly recommend :)" - Angie G.
"So happy with the service I received. The owner and daughter are so sweet and more than helpful. They work with your budget and give you quality work and in quick time. I brought in my wedding dress to be altered. They had it ready in a week and it fits like a glove! Highly recommend." - Kimberly M.
"I desperately came in this morning and was immediately greeted by Letty. My daughter had her ballet recital this evening and she was able to make the alterations to her costume. I highly recommend her for every sewing need. Very Satsisfied customer. I will definitely return!!!" - Glen S.
"Letty & Fany did an excellent job making my RGVLS Covergirl outfit. They were patient and very professional. 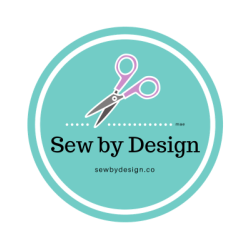 I would highly recommend them for your sewing needs!" - Dennika U. "Awesome experience for my wife's dress. Will be going back for our other alteration needs. Great price and speedy deliver." - Daniel V.
"I highly recommend this business to anyone looking for quality workmanship. I took several items in to get worked on and could not believe that there were no signs of it being altered, it look and felt as it were direct from the manufacturer. The people are also very courteous and timely in getting clothing out on time; their prices are very affordable for the quality of workmanship that is performed. You will be so happy you finally found this type of business, you will be so satisfied as I was to do business with them." - Monica M. G.
"Absolutely perfect service in every way. I highly recommend this business to anybody looking to have any type of alterations done to their attire. My experience: I took in two suits (a glossy black three-piece and a dark brown two-piece) that I had taking up space in my closet. While they are definitely high quality suits (Oxford Republic and Hugo Boss, respectively), they had a loose 90's fit to them, and I wanted them tailored to a more modern and slim cut. After comparing prices in the area, I settled on them, as they seemed the most sensible. The two women who run this out-of-their-house business invited me over and took my measurements in record time. They were then able to show me, with a series of well-placed pins and brooches, how the suit would turn out. I liked what they were promising, so I left the two suits and waited with bated breath for their callback. Five days later, they sent me a text to let me know that the suits were ready. I immediately rushed over and was stunned by the results. The ladies had miraculously managed to turn my two old, stuffy suits into some very snazzy slim-fit suits that are as suitable (pun not intended) for the workplace as they are for a night out on the town. Words cannot accurately convey how pleased I am with the results, as well as the relief at finally having found a reliable tailor. If you have any clothing that you are not 100% pleased with, do yourself a favor and drop by! I can guarantee that you will not be disappointed." - Michael M.
"Letty and Fany were amazing! They altered my wedding dress to perfection. They are very professional, fast, and very nice people. Not to mention very affordable! I highly recommended this business!!" - Erin S.
"Quedamos muy contentas con los resultados que los vestido que nos cofecciono la Senora Leticia. La recomendamos ampliamente." - Carolina G.
"Una experiencia muy agradable el haber encontrado este lugar, Leticia y Stephanie hicieron mis vestidos como grandes profesionales. Mil gracias estare' recomendandolas mucho." - Cristina M. A. "Muchas muchas gracias por hacer un excelente trabajo. Excellent work, works fast, and has great customer service" - Maira M.
"They are incredibly talented and work with you every step to make sure your beautiful garment comes out perfect! Excellent choice for creating your special occasion dress or alterations." - Katherine F. K.
"Best service and love the way my daughter costume came out it was perfect and so very worth it" - Rubee T.